The Belgium capital’s top religious leaders came together on Friday to pay tribute to the 32 lives lost during last month’s attacks in Brussels. The city’s Chief Rabbi and the president of Belgium’s Muslim executive laid a wreath, prayed together and stood for a minute of silence, to help send a religious message of unity to Belgian society. ‘We want to send the message that we are one, indivisible people: Muslim, Jew, Christian and others,” Salah Echallaoui, President of Belgium’s Muslim executive told euronews. 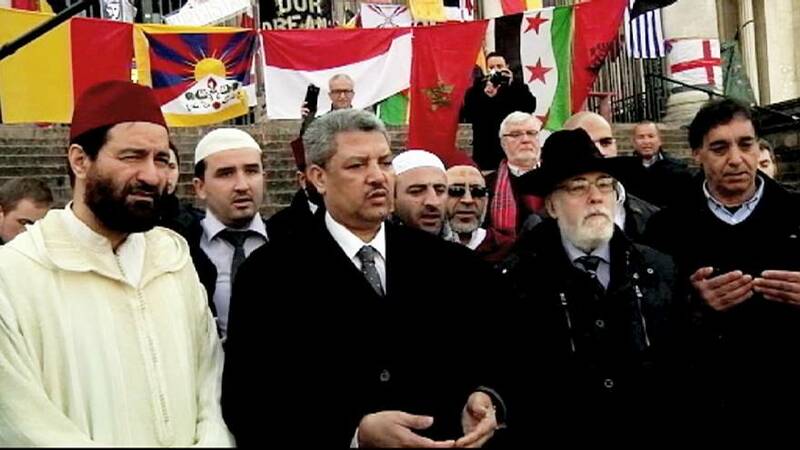 Brussels’ Chief Rabbi, Albert Guigui, said it was vital to stand firm against extremist views. “From here in the centre of the capital of Europe we want to give this signal of unity to all citizens, to all democrats, to fight against everything that could destabilise our democracies,” he said. Throughout Belgium, Imams have been requested to focus their Friday prayers on the victims of the March 22 attacks. Muslim leaders have spoken of their fears of possible reprisals for the suicide bombings, which left more than 300 people wounded. Funerals for several of the victims also took place across Belgium on Friday as residents continue to reel from the country’s worst terrorist atrocity.